Well the first sign that I saw wasn't the road sign that I had been expecting. No. It's the huge bloody imposing sight of the south downs, rising up like a wave before your very eyes. I was straight away transported back to the moment when the south downs does the same thing during the London to Brighton Cycle Ride route just a few miles to the east. Shortly after this, the road sign appeared and I turned off the A3, went around the twisty exit lane and turned into the Country Park - It is so easy to find that I didn't use my sat nav to get here. 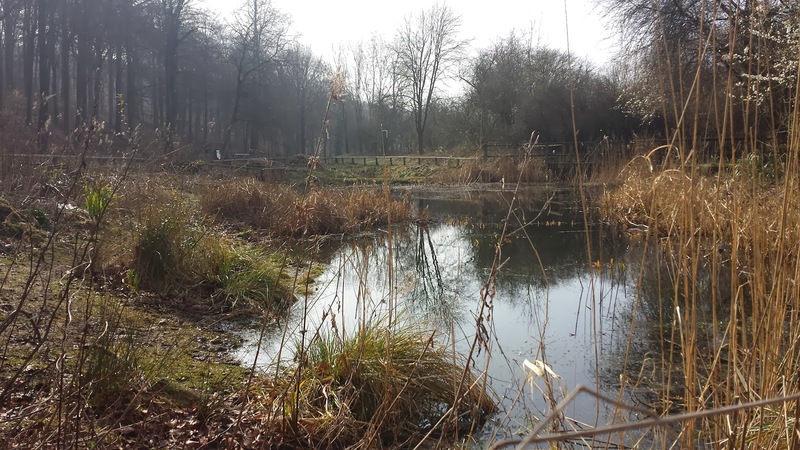 The country park comprises 1400 acres of woodland and downland within the East Hampshire Area of Outstanding Natural Beauty. It's not just a place of beauty, it is also a place of adventure and activities. 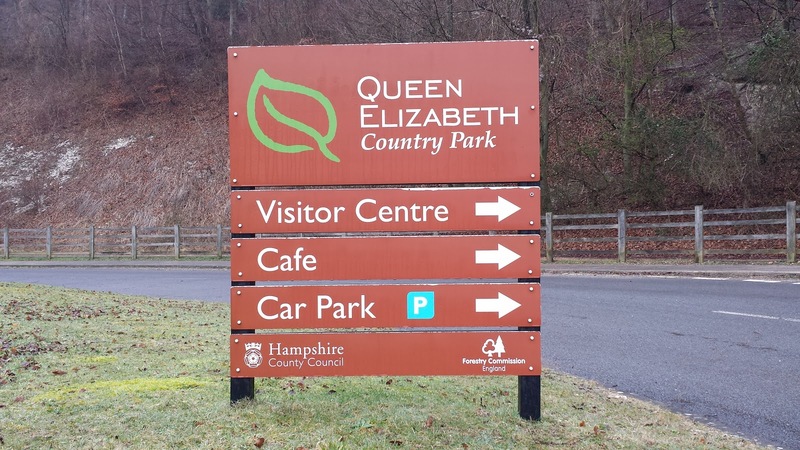 There is a visitor centre, mountain bike trails, play areas, walking trails, horse riding trails, adventure sports, wildlife, and amazing scenery with fantastic views from the peak of Butser hill being a highlight. But of course, I wasn't here for any of these things. 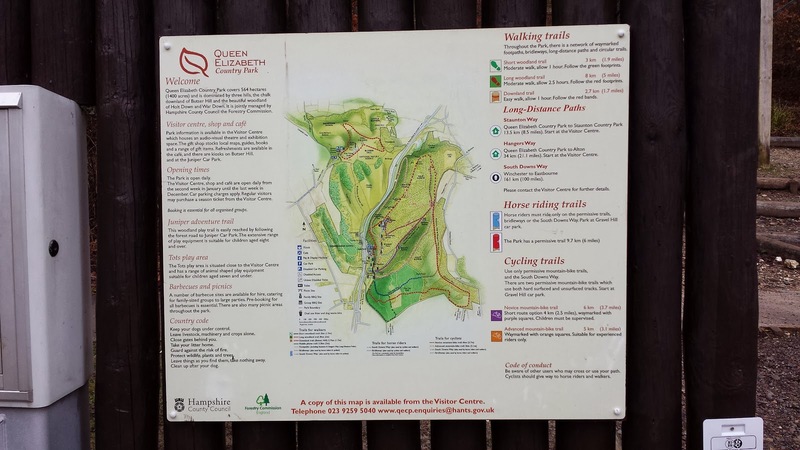 I was here for Queen Elizabeth parkrun, which has been active since 18 May 2013. I parked in the main car park just next to the main entrance, however if you prefer to be closer to the start line, just follow the road round to Gravel Hill car park. The arrangement here for parking is that if you bring an extra barcode with you and put it in your window, you can pay for one hour of parking (£1.50) and stay up to around 11am, which is nice because it helps to encourage the post-run socialising. So that means that instead of the usual parkrun moto 'don't forget your barcode', here it should be 'don't forget your barcodes!'. 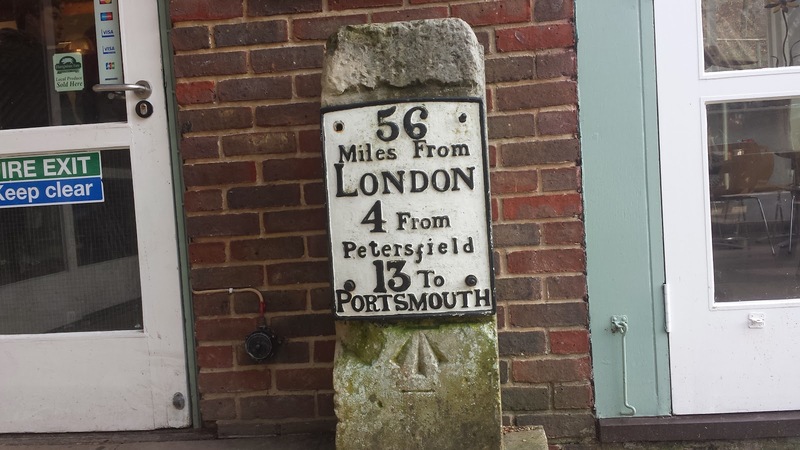 For anyone travelling by train, the closest station looks to be at Petersfield, which is about 6 kilometres to the north of the country park. So if you fancy turning your 5k run into a 17k run, you can use the Hangers Way footpath, which links the two. And for all of the cyclists, there seems to be some attempt at making the A3 cycle friendly by either using an adjacent shared-use footpath or at other times using the edge of the road itself, which must need nerves-of-steel as vehicles fly by at 60-70mph. Considering the amount of cycling that goes on here, there must be some bicycle parking somewhere (there is a wooden fence next to the briefing area). However, I couldn't see any proper racks (I'll update this if I can get some more info). 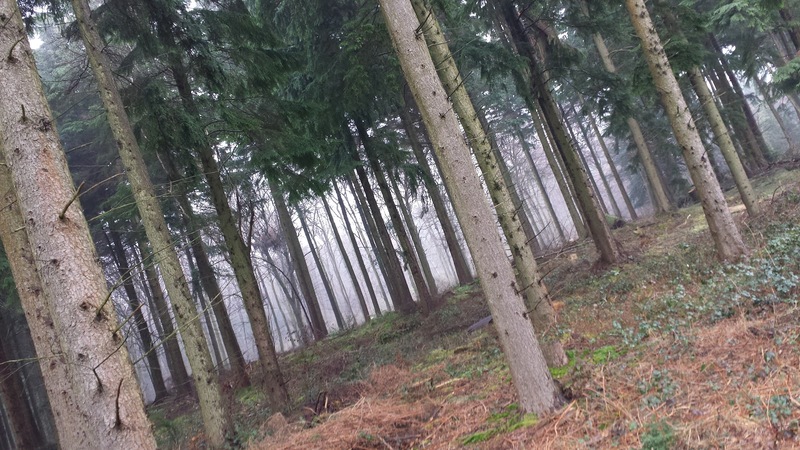 forest? woods? or just a lot of trees? Before heading off to the run briefing area, I popped into the visitor centre which has toilets that open at 8.30am. 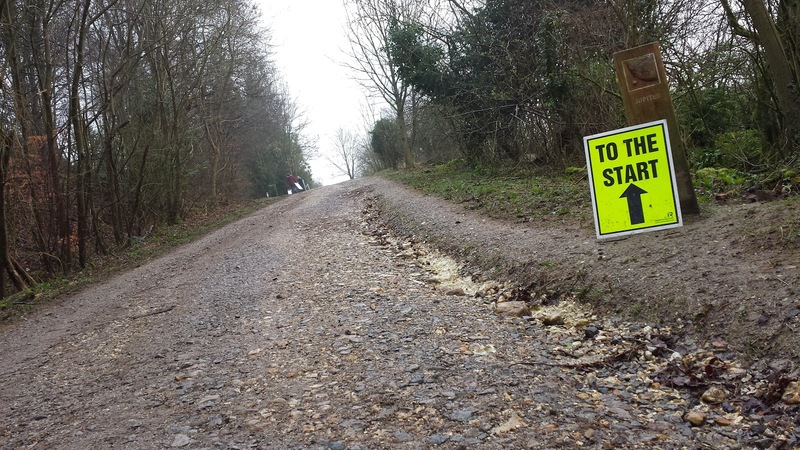 As you follow the signs up the hill towards the start, it becomes quite clear that this is going to be a challenging route. The run briefing was great and included a course description and all the other parkrun briefing formalities. 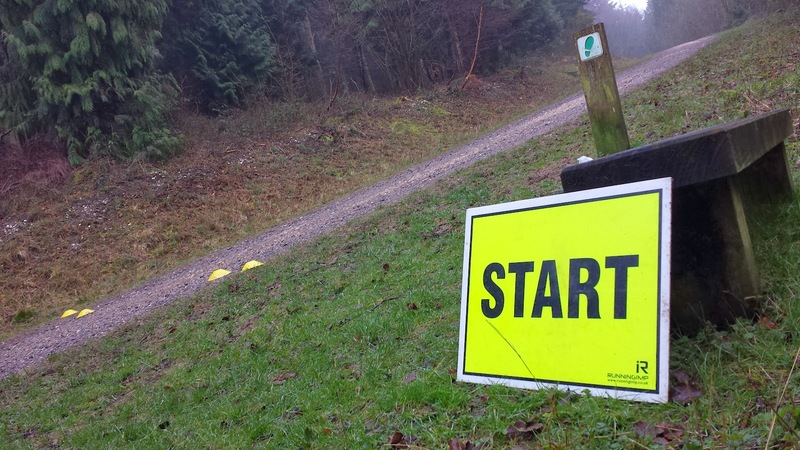 I did like the Bruce-Forsyth-style part at the end of the course description where after telling us that all of the turns are right-handers, the event director then said 'if you turn LEFT....' and everyone else joined in with '...you've LEFT the course'. The start line is a bit further up the hill and once all participants had arrived we were set off with a very quick 3-2-1 GO! The course is made up of one small loop and one large loop. Underfoot is a mixture of gravelly paths, grass, dirt, mud, and what looked like chalk. For this venue I wore my trail shoes. So. The first section is uphill and this lasts until you reach the first junction where you turn right and head downhill along a wide grassy avenue. At the end of this part you turn right and run on an undulating-but-mostly-uphill section with great views across the downland to your left. This eventually brings you back up to the briefing area. Here there is a sharp right hand turn and you now run up the path in between the briefing area and the start line. Going past the start line you continue until you reach the first junction again. This time you continue straight on, climbing all the time. The beautiful forest on either side of the path may provide some distraction if you can manage to take your mind off the burning pain in your thighs. This incline lasts for a full kilometre. At the top there is another junction and you turn right and run downhill along another grassy avenue - finally a chance to make up some lost time. At the bottom there is, surprise surprise, another (and final) right turn and you'll run along another path until you reach a familiar point. You have now joined the last section of the first loop and again must run on the undulating-but-mostly-uphill path towards the finish line, which you'll find just a few hundred metres before sharp right hand turn from earlier. The barcode scanning takes place right here at the finish line. 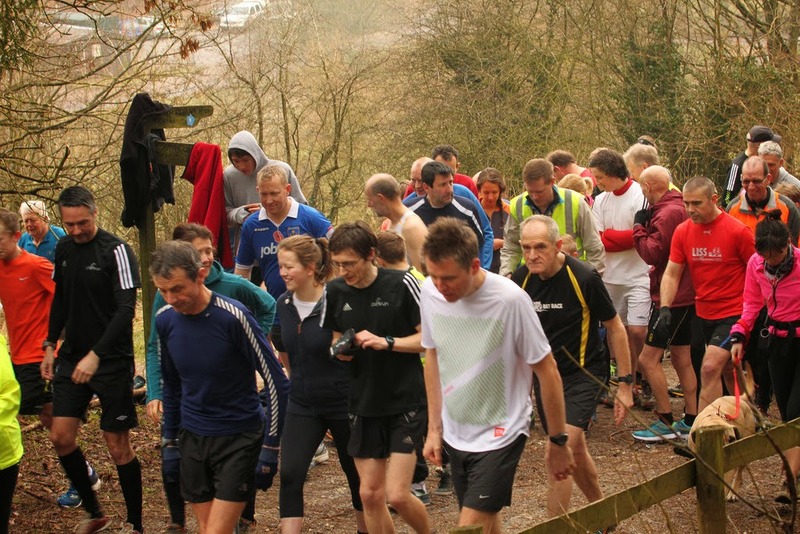 On the day that I ran, 64 runners took part, which is a very good turn out here. The hill profile (full GPS data on Strava) of the course is worth looking at before running here, just so you can get an idea of what to expect and where you are likely to be able to push. 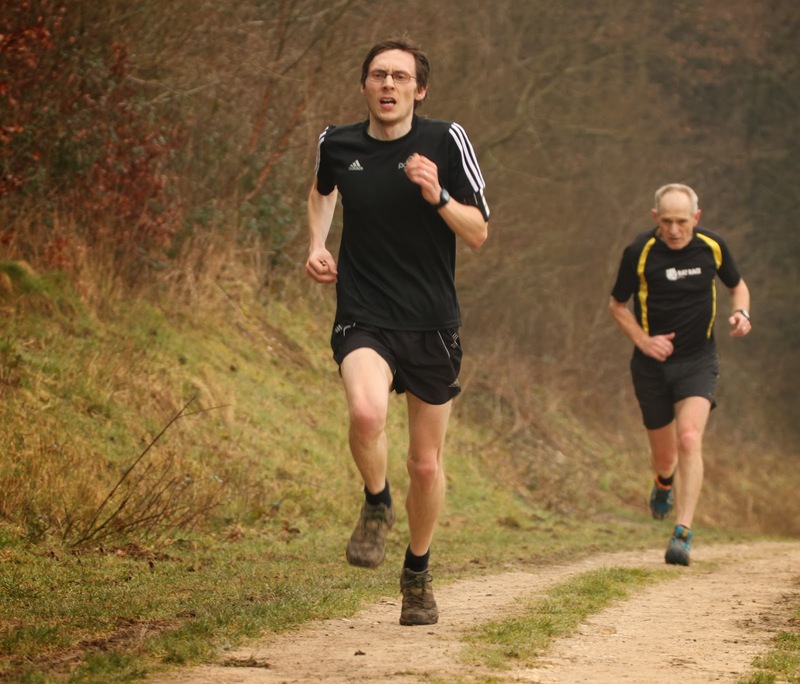 All I can say is that if you don't like hills or if your knees give you grief on long fast, and potentially uneven, downhills, you might want to run elsewhere. An easy way to remember the profile is to break it down into kilometres. After the run, the cafe at the visitor centre is used as the post-run socialising venue. I visited on a very nice morning in early spring and we all sat outside (partly due to the presence of homemade cake that the cafe aren't keen on having inside). I had a little chat with a few people, took some more photos and then headed back home, partly wishing that I had brought my mountain bike along because the mountain bike trails look awesome! 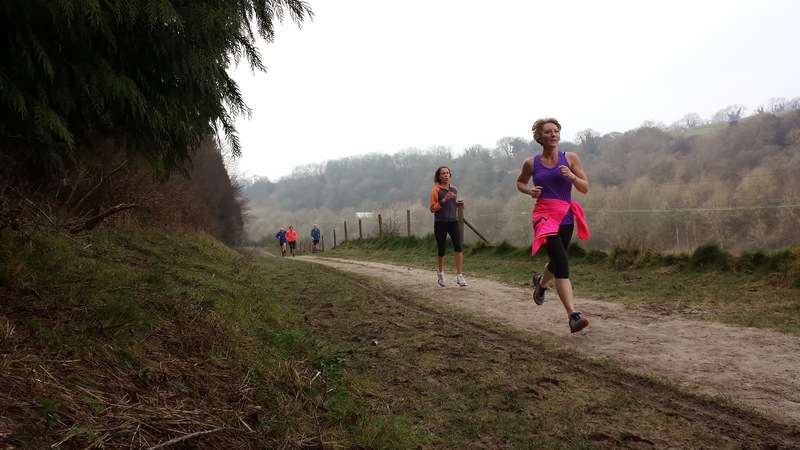 Buggy runners - It would be hard work but I'd say the course is fine. 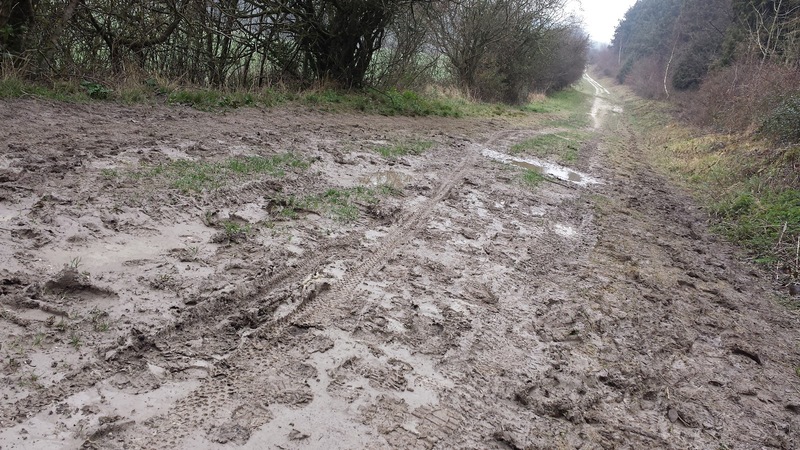 The downhills would probably be more of a concern than the ups, especially during wetter and muddier conditions . Did I mention the hard work part? So, in summary. A lovely, but challenging parkrun venue (I can't be 100% sure if it is the most challenging that I've run so far, but it's up there) with a lovely team of volunteers and a great community spirit. 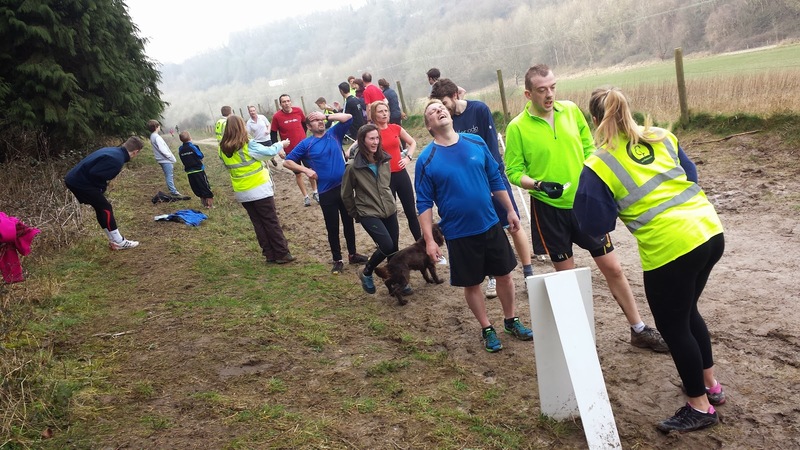 Plus, as was first highlighted to me by Abradypus in her Queen Elizabeth parkrun blog post, it's also a great venue if you want to extend your parkrun into a longer run using one of the footpaths that pass through the park (south downs way, hangers way, staunton way - and I'm sure there are probably more).